The United Nations General Assembly (UNGA) proclaimed the Decade of Family Farming 2019-2028 (DFF), to serve as a framework for countries to develop public policies and investments to support family farming and to scale-up the success of the International Year of Family Farming 2014, raising the paramount role of more than 570 million of family farmers in contributing to achieve the Sustainable Development Goals (SDGs), in particular those related to food security and nutrition. Family farmers produce about 80 percent of the world's food in around 70-80 percent of the available farmland. Considering family farmers’ central role in improving nutrition, ensuring global food security and safeguarding the world biodiversity, and the fact that they are nevertheless victims of poverty and hunger, the Decade of Family Farming will increase the visibility of rural women and men and the need of specific public policies to eradicate rural poverty, and realize family farmers' full potential for food security. The Common Market of the South (MERCOSUR) and the Community of Portuguese-speaking Countries (CPLP) are regional intergovernmental organizations with official mechanisms created for the debate and development of specific actions on family farming, with formal participation of family farmers organizations: the Specialized Meeting on Family Farming (REAF) in MERCOSUR and the Family Farming Working Group of the Food and Nutrition Security Council (GTAF/CONSAN) in CPLP, which have had several initiatives developed for strengthening family farming in member countries. 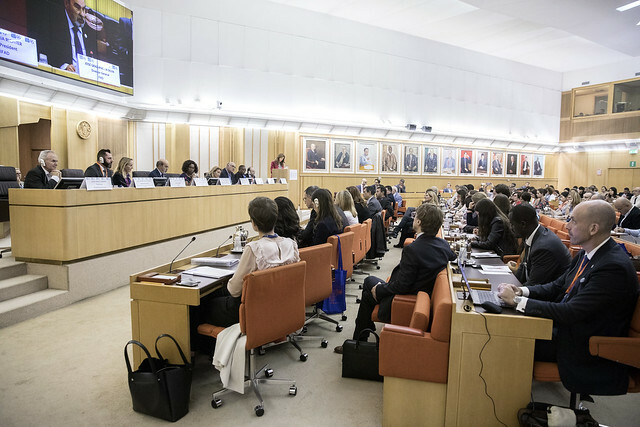 Through the contributions of some of the actors that led the campaign for the Declaration of the Decade (governments of Costa Rica and Italy, WRF, COPROFAM) the event will address family farming in the context of the results achieved by the IYFF 2014 and their role within the SDGs framework, which provides a unique opportunity to address global and interconnected challenges. The event will also offer some insights on the state-of-the-art of the preparatory work for the Decade's implementation. The Side-Event will then provide an opportunity for participants to share their experience on the strengthening of Family Farming in MERCOSUR and CPLP through the development of specific actions and tools, and will focus on specific country experiences in Brazil and Mozambique, to demonstrate how governments structured policy dialogue spaces with family farmers and other countries and benefited from the discussion of issues concerning family farming to achieve results at national level. The side-event focused on how family farming provides a unique opportunity to address global and interconnected challenges identified in the SDGs. The event also offered insights on the preparatory work for the Decade's implementation, and illustrated successful experiences of countries and regions in enacting supportive policies for family farmers. The UN Decade of Family Farming is part of a process which begun more than 10 years ago with the campaign for the proclamation of the International Year of Family Farming led by the WRF, and the IYFF+10 campaign led by Costa Rica. There are multiple connections and synergies between the 2030 Agenda for Sustainable Development and the Decade, which will focus on the multidimensional challenges addressed by the SDGs. o The High Level Launch Event in April/May 2019.
o The focus on improving public policies for family farmers. Family farmers are key actors in preserving agrobiodiversity, building communities, guaranteeing food security and nutrition, and wellbeing through the creation of rural jobs and business opportunities in rural areas, thanks to their efficiency, which is even bigger than that of agribusiness, when they are granted access to adequate technologies and resources. The Decade must serve as a framework for rural women’s empowerment and the recognition of their essential contribution to family farming, despite the constraints that they face in accessing resources and services. The fulfillment of SDG 5 on gender equality should be a priority throughout the entire Decade. National experiences over the last years offer an important example on how to improve FF conditions thanks to regional cooperation and differentiated policies. In Costa Rica, the creation of the Cost Rican Network of Family Farming (REDCAF) and the Institutional Supply Program (PAI), together with a financing mechanism for micro and small rural enterprises that prioritizes women, are some of the activities implemented in the framework of the regional dialogue within the Central American Agricultural Council (CAC). o the Specialized Meeting on Family Farming of MERCOSUR (REAF), a space for exchange on key theme and a framework for policies.